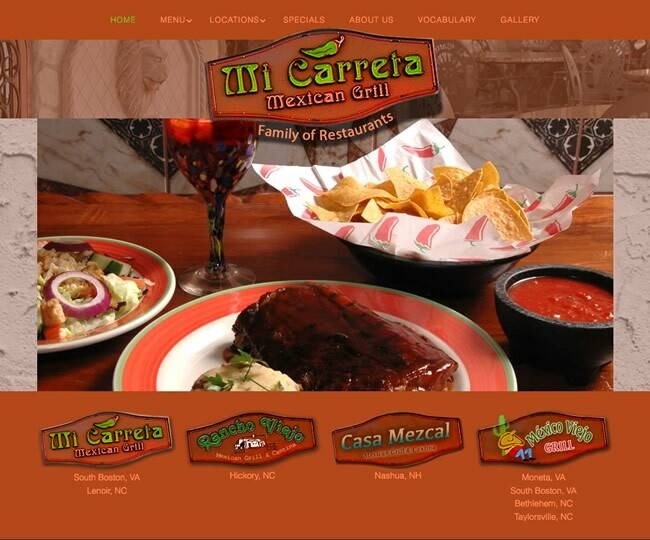 Mi Carreta Family of Mexican Restaurants will transport you to Old Mexico. From Mexican beer and margaritas, to appetizers, main dishes and desserts you'll enjoy the authentic taste of Mexico in a hacienda-like atmosphere. 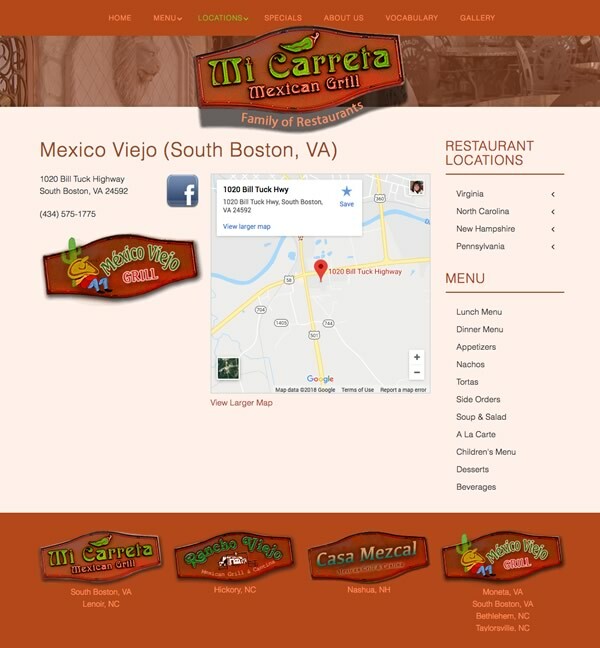 We created a responsive website that includes a page for each of their 9 locations, including maps for directions, contact information, and social media links. Each home page slide links to that menu item's details on the Menu page. 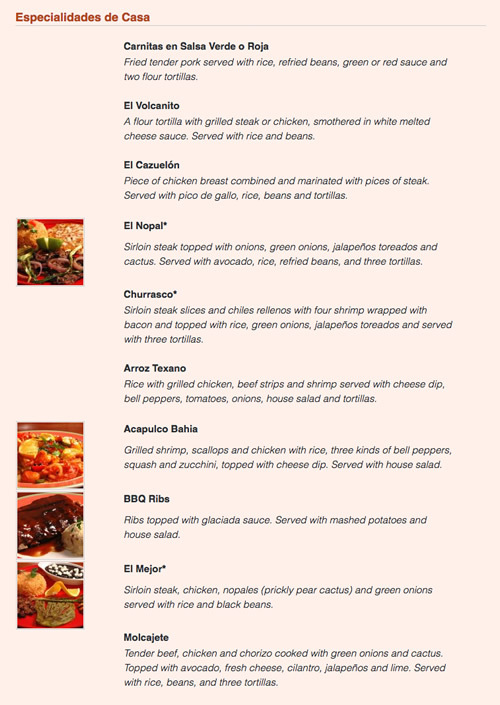 The menu is managed by a special menu component that allows the restaurant to complete a form for each item; the component displays the name, description, and image (if provided) of each, and the price can be displayed if chosen. The site also includes a Vocabulary page to help those you want to learn a little Español to try out during their visit.